- Use of Material : Cotton Yarn, PP Yarn, Polyester Yarn Mono Filament Yarn, Satan Yarn etc. - Weight : 175 Kg. Approx. No. of fabric cords: 8 Nos. 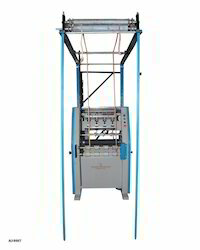 We are the leading manufacturer of Venetian Blind Rope Knitting Machine. 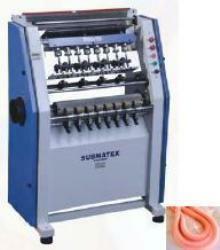 Production Speed: 80 to 300 meter per hour per head. - Production : 500 to 800 meters per hour. FAST KNIT BRAIDING Model - "SMB-6"
- Motor 0.5 H. P.